The Wizards exhibition season has ended and they’re hopefully in the training rooms and rehabilitation gizmos trying to get healthy for their regular season opener against the Heat next Wednesday. What does the preseason mean? Roland Beech, then proprietor of 82games.com (and now working for the Dallas Mavericks) ran some correlations a few years back. His findings suggest that preseason provides some indication of a team’s regular season fortunes, but that the previous season’s winning percentage remains a better barometer. Beech’s numbers showed the preseason matters most to teams who stunk the previous year. The strongest correlations between preseason record and regular season record were between teams that won 30 or fewer games the previous year. Second strongest were for teams winning 40 to 49 games (hello, Wizards). The Wizards, of course, are going to be on the “preseason doesn’t matter” side of this discussion considering they were 11th in the Eastern Conference in preseason efficiency differential and 29th in offensive efficiency. The league scored 101.8 points per 100 possessions in the preseason; the Wizards scored 95.0. On the bright side, Washington boasted the league’s 8th best defensive rating. Below are the preseason estimated Player Production Averages (PPA) for Wizards who played at least 50 minutes. PPA is an overall rating metric I developed that credits players for things they do that help a team win, and debits them for things that don’t. It’s a per-minute stat that’s pace-neutral, (normally) accounts for defense, and (normally) includes a “degree of difficulty” factor based on the level of competition a player faces while on the floor. In PPA, 100 = average, higher is better, and (normally) 45 = replacement level. I use “normally” in a few spots because the data necessary to calculate a player’s defensive contributions and/or the degree of difficulty factor aren’t available in the preseason. Plus, I don’t know if there can be such a thing as “replacement level” in the preseason. Do NOT use these numbers to make bold predictions or sweeping pronouncements. These represent a tiny sample size — a sample in which many players are basically going through the motions at least some of the time — and are presented just as a general barometer for how players performed in the preseason. Looking back at last year’s preseason numbers and see that Bradley Beal had an outstanding preseason, but wasn’t as good in the regular season. Meanwhile, Trevor Ariza and John Wall were bad in exhibition games, but good in real ones. Some guys were about the same in both — Jan Vesely, Al Harrington, Eric Maynor, Kevin Seraphin and Garrett Temple. This year…most of the team’s rotation players were unproductive. Wall had an ePPA below 20 most of the preseason until he had a good performance against the Knicks. Seraphin may yet have that breakout season so many are hoping for, but ended his preseason in the same general territory where he’s spent most of his young career. 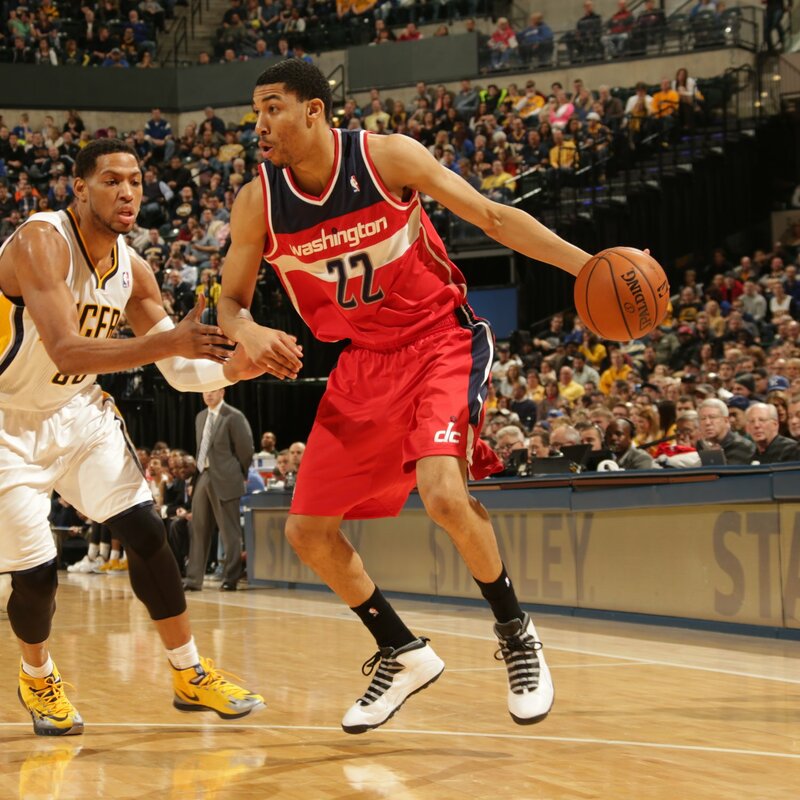 The team’s bright spot in the preseason was Otto Porter. He was a little above average — encouraging progress from a second year player who was mostly overwhelmed as a rookie.